Amer Design Studio has been one of Chicago's premiere decor studios in the wedding industry for over 20 years. We specialize is all genres of weddings including South Asian weddings, Christian weddings, Jewish weddings, Interfaith and multicultural ceremonies. We love hearing about our clients' visions and going above and beyond to deliver on their expectations. 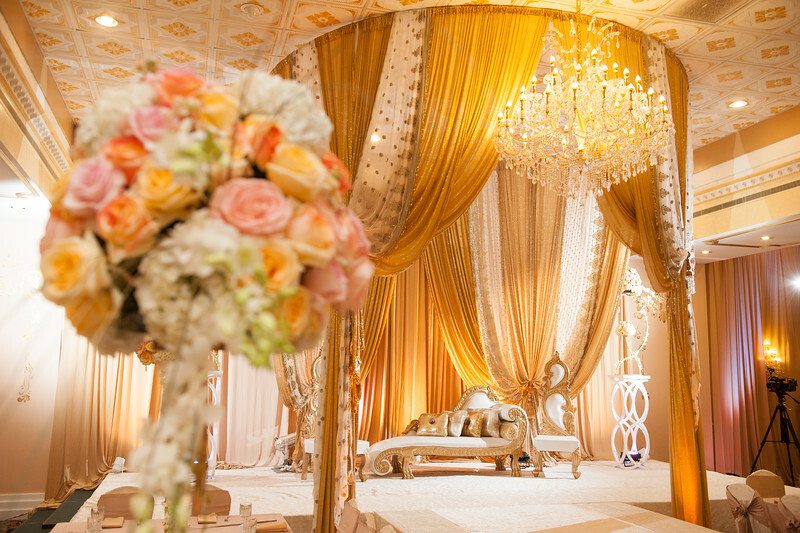 Our attention to detail and unique designs have caught the eye of publications such as Chicago Style Weddings, Maharani Weddings, and South Asian Bride Magazine. Our studio designs have graced hotels and banquet venues throughout the Chicagoland area such as Chicago Palmer House Hilton, Westin Hotel, Drury Lane Theater, Doubletree Oakbrook, Newberry Library, The Knickerbocker Hotel, Renaissance Schaumburg Hotel, Meadows Club, Meridian Banquets, Stonegate Banquet and Conference Center, and many many more! We are glad to meet with you and discuss your needs today! Let us create magical memories for you!